Washington DC Accident Lawyer | Case Value: What Is Your Case Worth? To analysis the value of personal injury cases in Washington D.C., a great starting point is Jury Verdict Research, which analyzes millions of personal injury verdicts and settlements around the country. The median compensatory award in the District was $14,000 ($9,000 for auto accident and truck accident cases). The nationwide average in 2002 was $45,753. Comparing the District's median verdict and settlement number to the nation at large, it is easy to assume our capital is not a favorable jurisdiction to try or settle personal injury cases. But this statistic is somewhat misleading. In many urban areas generally but specifically in the District, there are a large number of frivolous personal injury claims. This brings down the median value of personal injury cases in Washington D.C. So the median is including all of these frivolous cases. 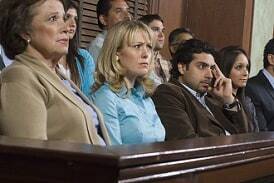 Generally speaking, D.C. juries are considered to be smart and fair. Moreover, a quality case is a quality case no matter where it is. In fact, if you have a serious case, this is an excellent venue because it has reasonable open-minded jurors and, almost as importantly, is in the growing minority of jurisdictions that have no cap on non-economic damages in regular personal injury cases. Below is a list of recent jury verdicts and settlements in the District of Columbia. September 2018, Washington D.C.: $1,500,000 verdict: Plaintiff, a wheelchair-bound woman, was riding in the handicap section of Metro transit bus when the bus driver popped over a large curb causing plaintiff’s wheelchair to tip over and spill her onto the floor. Plaintiff allegedly suffered numbness and tingling in her left arm and aggravation of pre-existing neck and back injuries. Despite relatively moderate injuries, the DC jury awarded $1.5 million in damages – which included $634,167 for emotional distress. The take-home message here is that juries in the District of Columbia may be generous with the right plaintiffs. It is such a key in any jurisdiction but particularly important in DC that the jury like the victim and believe the money they are "paying" is well spent. October 2018, Washington D.C.: $143,500 verdict: Plaintiff was a passenger in a taxi cab when defendant failed to yield the right of away struck the cab from the side. Plaintiff reportedly suffered a concussion, tinnitus and heraring loss in his right and left ears, headaches and memory loss, as well as additional injuries to his head, neck and back as a result of the accident. Defendant denied that he was at fault and also disputed the extent of plaintiff’s damages. The DC jury ruled in favor of the plaintiff and awarded $143,500. February 2018, Washington D.C.: $200,000 verdict: Plaintiff was driving near a parking garage at the intersection of First Street and M. Street SE in Washington, D.C. when the defendant allegedly collided with his vehicle. Plaintiff claimed various soft tissue injuries to his back and neck including disc herniation. Defendant disputed damages but admitted liability. DC jury awarded plaintiff total damages of $200,000. October 2017, Washington D.C.: $133,000 verdict: Plaintiff was a tenant in an apartment building located on Pennsylvania Avenue SE managed by the defendant. A large section of the kitchen ceiling in his apartment detached and fell onto of him causing moderate injuries to his back and neck. Defendant denied liability claiming that they were not on notice of the hazardous condition of the ceiling. The jury awarded plaintiff $133k in damages. August 2013, Washington D.C.: $40,000 Verdict: A 20-year-old college student was rear-ended on Ridge Road. The at-fault driver unsuccessfully attempted to flee. The driver had taken his mother’s boyfriend car without permission. The student saw an orthopedist and chiropractor for cervical and lumbar soft tissue injuries. He sued both the owner and driver of the vehicle. Plaintiff also sued his won insurance company, State Farm, for uninsured or underinsured coverage. In D.C., the owner is generally on the hook unless the vehicle was driven without permission, which the owner alleged here. Defendants also took issue with the extent of the Plaintiff’s injuries, basically alleging he was not significantly hurt. Not surprisingly, the Defendant driver did not appear for trial. The jury found that Defendant owner did not give Defendant driver consent to drive the vehicle and rendered a $40,000 uninsured motorist verdict against State Farm. April 2013, Washington D.C.: $1,586,000 Verdict: A woman was leaving Children’s National Medical Center with her 4 and 6-year-old children. In the garage, she asked her children to step back while she opened the car door. The 6-year-old boy fell through an uncovered vent shaft opening and fell two stories onto a concrete floor. Just awful, right? He was rushed into intensive care where he was hospitalized for four days and treated for injuries to his head, face, neck, back, arms and legs. The boy’s parents sued Children’s National Medical Center and the garage, Colonial Parking. Plaintiffs claimed there were no signs warning others about the uncovered vent opening and, essentially, that it is crazy to leave a vent shaft open in the first place. Defendants denied liability by pointing to each other for failing to cover the vent. A Superior Court jury awarded $1,560,000 v to the 6-year-old and $26,000 to his mother. April 2012, Washington D.C.: $500,114 Verdict: A 56-year-old mother of five had a negative mammogram at Center Radiology. Three years later she was diagnosed with late-stage breast cancer that had metastasized. She passed away within the year. Her estate sued claiming the Defendant misread the mammogram, resulting in a delay of diagnosis that caused her death. Defendants maintained the interpretation of the film as normal as within the standard of care. The jury did not buy it and awarded the estate $500,114. January 2012, Washington D.C.: $55,000 Verdict: A woman in her 30’s was a passenger in a car that was hit head-on by a driver traveling in the wrong direction. Incredibly, both drivers fled the scene. The woman was hospitalized for four days while a possible hairline fracture in her back. No fracture was identified and she was discharged with soft tissue injuries in her back. The woman sued the owner of the vehicle she was a passenger in and his insurance carrier State Farm for uninsured motorist benefits. Plaintiff claimed that the driver had the owner’s consent to operate his vehicle, entitling her to uninsured motorist benefits. Defendant State Farm argued the driver had taken the vehicle without the owner’s consent. The jury awarded her $55,000. May 2011, Washington, D.C.: $1,750,000 Verdict: After a chest x-ray, a 63-year-old woman visited a vascular surgeon for an angiography.. The radiologist noted a two-centimeter mass on her left lung and recommended a CT scan. However, the vascular surgeon did not request a CT nor did he report the X-ray findings to the patient. Three years later, a second chest X-ray was conducted following treatment for pneumonia. At that time the mass had grown to 6 centimeters and was identified as malignant. An MRI revealed metastasis to the brain. The woman had to undergo multiple sessions of chemotherapy and a surgery to remove the brain metastasis. The woman sued the hospital for medical malpractice. Plaintiff claimed the radiologist failed to follow up with the surgeon to ensure he knew of the X-ray findings and the surgeon failed to rule out of the presence of malignancy. Defendants denied any standard of care violations. A D.C. jury awarded $1,750,000. October 2010, Washington D.C.: $785,992 Verdict: A 36-year-old police officer was walking to the communications center when he tripped and fell over a pipe and landed on his shoulder. The pipe was set up by Whiting-Turner Corporation and DC Water and Sewer Authority to keep pressurized water for the building’s sprinkler system while they worked on the adjacent pumping station. The man was treated for torn ligaments in his right shoulder which required surgery. Unfortunately, when the ligaments began to heal they thickened and calcified and began pressing and pinching against the bone. The man had to undergo a second surgery that ultimately left him with limited motion of his arm. As a result, he was unable to perform his duties as a police officer and was removed from the force after 14 years of service. The man sued Whiting-Turner Corp. and DC Water and Sewer Authority for premises liability. Plaintiff claimed the Defendants created a dangerous condition and that the pipe should have been buried two years prior to the accident. Defendants argued the Plaintiff was contributorily negligent because the pipe was an open and obvious danger. Plaintiff claimed that at the time of the accident he was startled by a truck horn as he was stepping across the pipe, which caused him to trip. 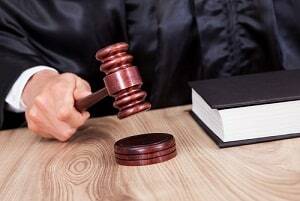 A Superior Court jury found the Defendants equally negligent and awarded the Plaintiff $785,992. February 2010; Washington D.C.: $20,000 Verdict: A 60-year-old woman was injured when she fell on a Washington Metropolitan Area Transit Authority (WMATA) bus. When she was attempting to exit, the bus rolled forward causing her to fall on the floor and hit her head. She was transported to a local emergency room where she was treated for a lumbar sprain and a concussion. She sued WMATA and the driver for negligence, claiming the driver stepped on the accelerator before all passengers had exited. Plaintiff also claimed the driver failed to warn passengers that she was leaving the bus stop. Defendants denied the driver started the bus early or that the bus had lurched forward. Defendant Driver claimed the fall never occurred and that the Plaintiff’s injuries were minor. A D.C. jury awarded her $20,000. We handle only serious injury tort cases. If you are an injury victim or a lawyer looking for co-counsel, select here or call 800-553-8082. What is the value of your case? Learn more about how insurance companies, lawyers, and ultimately, juries, figure out the value of these cases.